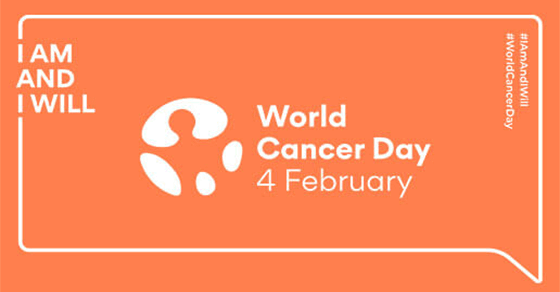 Each year on 4th February, World Cancer Day is celebrated worldwide with an initiative to raise awareness about cancer and work to make it a global health priority. An estimated 9.5 million people across the world were expected to die in 2018 – around 26 thousands cancer deaths a day and this number is predicted to double by 2030. This is a shocking number and something must be done to reduce this. Cancer is not just a health issue; it is more of a personal one. It is the second leading cause of death among men & women collectively. It’s our duty to find out how cancer affects us all and how can we help reduce the rising incidence of cancer. It is all about your story and personal commitment that represents how the individual action taken at present impacts the future. Make healthy lifestyle choices that include eating a healthy diet, involve yourself in plenty of physical activity, avoid using tobacco products and limiting alcohol. Be aware of the signs & symbols of cancer as early detection often makes it easier to treat. Share stories about your personal cancer experiences, communicate with the sufferers and join support groups to help make a positive change for all the people affected by cancer. Don’t lose hope & isolate yourself during and after your cancer treatment. Whenever possible, use work and other day activities as opportunities to maintain normality, routine stability and social contact. Support cancer patients and survivors. Educate people around you about the impact of their lifestyle – poor diet, cancer risk, smoking, alcohol, lack of physical activity etc. Don’t fall for rumors and myths that lead to discrimination against people with cancer. Encourage schools, colleges, and workplaces to implement nutrition, physical activity and no smoking policies that help everyone to adopt a healthy lifestyle. Call on government leaders to commit adequate resources to reduce cancer deaths and provide a better quality of life to the patients & survivors. Whoever you are, you have the power to reduce the impact of cancer for yourself, your loved ones and for the world. This World Cancer Day, let’s come together and take action for a cancer-free world.